This has been a bad year for the U.S. and the Western World. Peace, prosperity and progress have suffered major setbacks. 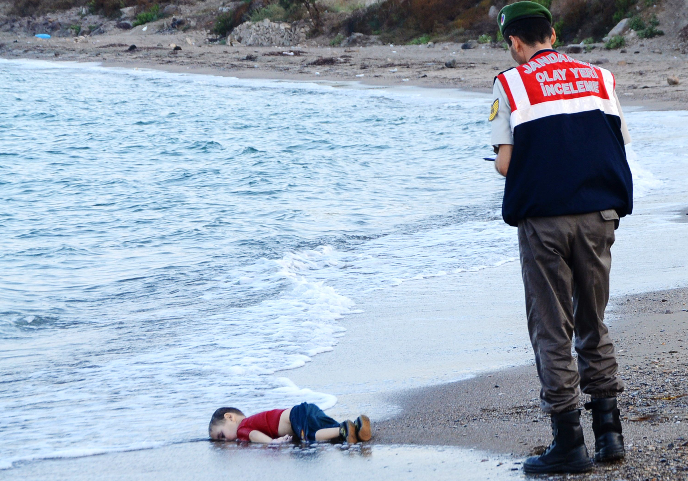 The European refugee crisis. Chaos in the Middle East, especially in Syria, Iraq and Libya, has caused over a million refugees to flee their homelands and overrun Europe. This is not only a humanitarian crisis but also a severe strain on the resources of our friends and allies in the European Union, already weakened by huge debt resulting from the financial crisis. The rise of Donald Trump. He appeals to the worst instincts of many Republican voters: nativist, protectionist and isolationist. Granted he has created more interest in the 2016 presidential campaign but at what cost to future economic and social progress? He is too crude, prejudiced and unprepared to possibly be elected president. His nomination by the Republican Party will lead to electoral disaster and therefore continued economic stagnation and an even faster increase in debt. 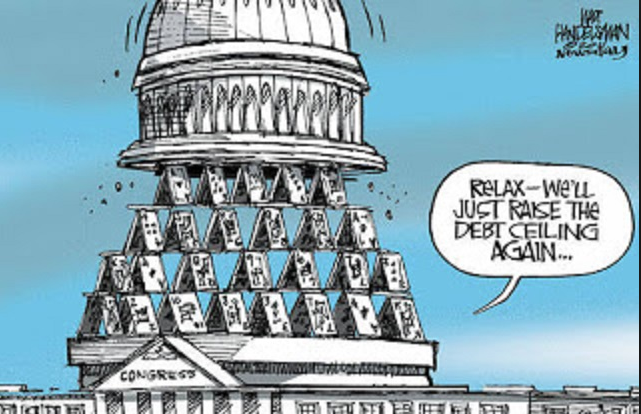 The collapse of fiscal common sense. The Republican Congress started out 2015 by adopting a ten year plan to achieve a balanced budget by 2025. But this plan fell by the wayside as a 2016 budget was hammered out, leading to an increase in the projected 2016 deficit alone of $158 billion. 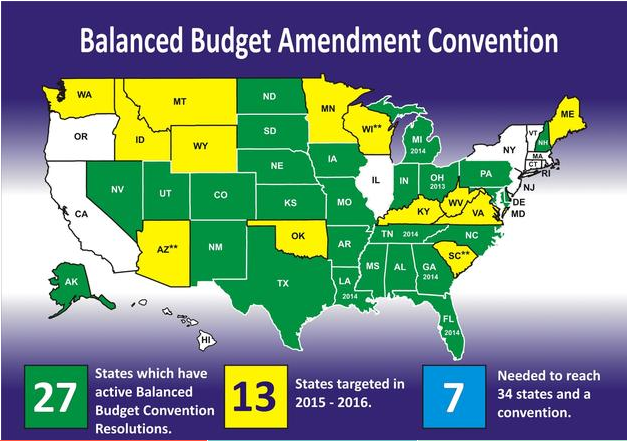 Such fiscal irresponsibility has created new interest in holding a Constitutional Convention to propose a Balanced Budget Amendment. Of the 34 states needed to force Congress to call a Con-Con for a BBA, 27 states have already formally applied. Always the optimist, I have ended on a hopeful note. The world depends on the U.S. for leadership and it isn’t too late for us to get back on track. But it won’t be easy! 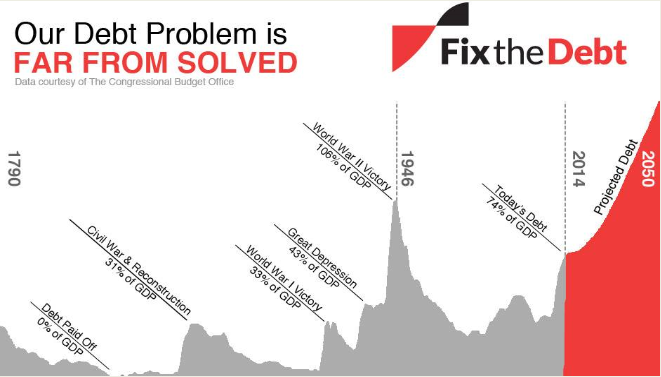 I have just recently come across the book, “Fix It Now: Rediscover the Constitution and Get America Out of Its Fiscal Death Spiral” by Chip Maxwell, a candidate for Congress in Nebraska’s Second District May 2016 Republican Primary. Adopt a Balanced Budget Amendment to the U.S. Constitution, phased-in over ten years. Phase out Social Security and Medicare for those under age 55. Dismantle over the next decade the rest of the federal welfare/entitlement system. Provide social services at the state or local level. Launch a national effort to build a majority in Congress of crusaders for limited government. There are some attractive features to Chip’s program but overall I think it is too radical to have much chance at implementation. I am very much in favor of a balanced budget amendment and a ten year phase-in period is quite reasonable. Furthermore, providing social services at the state and local level would be much more efficient than what we are currently doing and, even with federal support, would be a big help in balancing the budget. Social Security and Medicare are lifelines for tens of millions of people. We can and should strengthen these programs in order to make them more financially viable for future retirees. They are now part of our national fabric and are here to stay. Chip’s last principle, promoting limited government, has much appeal but I think is not practical in this day and age. From my perspective, simply passing a Balanced Budget Amendment is sufficient to do what is needed. A BBA will force Congress to set spending priorities and eliminate inferior programs. 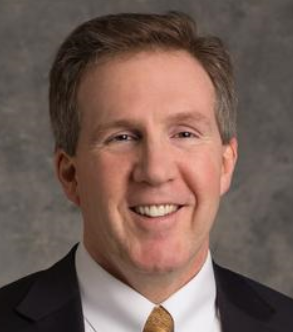 Chip Maxwell is to be commended in running for Congress. If elected, he would move the needle in the right direction, even though some of his ideas wont work.